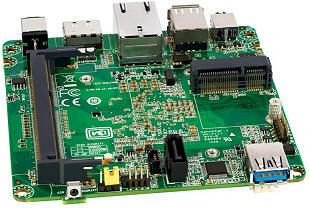 Intel's Next Unit of Computing Kit DN2820FYKH Board offers performance for digital signage and more. 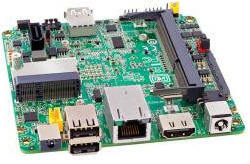 A revolution in ultra-compact device design, Building an home theater PC (HTPC) or personal cloud? 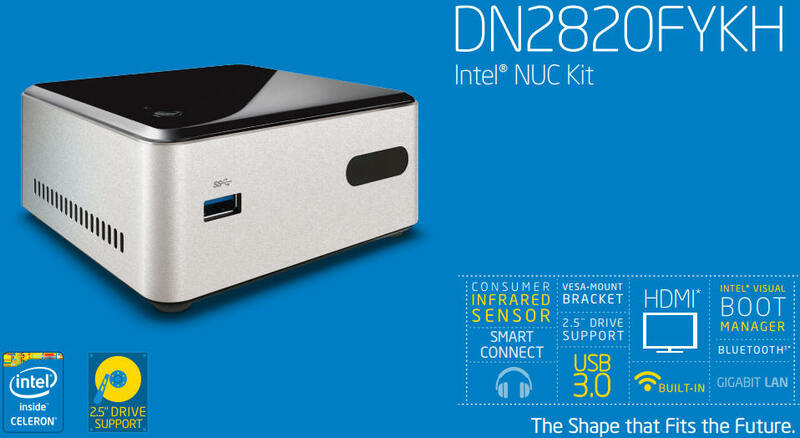 The Intel NUC with an Intel Celeron processor gives you control over your digital media. 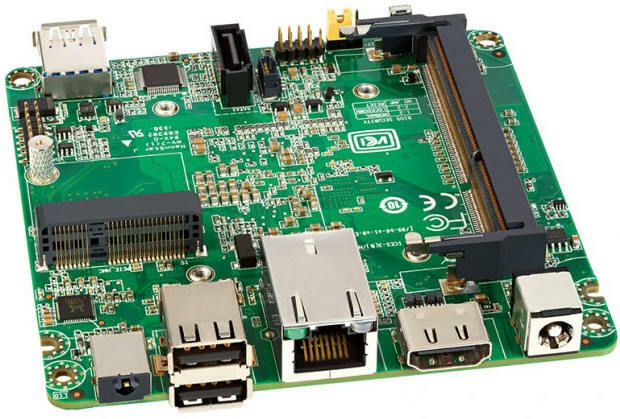 HDMI* video, an infrared sensor port, and internal 2.5-inch drive support will allow you to drive your home entertainment experience from the 4x4 form factor, so you can create a digital media center or personal cloud for your media files that fits in the palm of your hand. 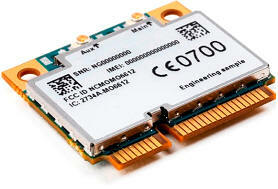 The Intel Celeron N2820 dual-core processor runs up to 2.40GHz dual-core and had 1MB cache with 7.5W TDP. 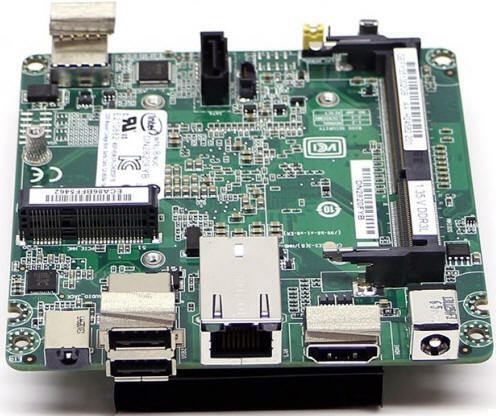 The newer Intel Celeron N2830 processor runs slightly faster at 2.41GHz dual-core and has the same amount of cache and an identical power rating. 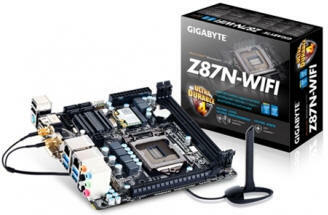 The relatively big differences are that the N2830 supports faster DDR3L 1333MHz memory and Intel Quick Sync, which allows for faster conversion of video.This appears to be a nice improvement and for free we doubt the only people that are going to be complaining are those that already bought one based on the original N2820 processor.